Excellent. I was most impressed with the quality,design and embroidery. A very fine chasuble and much admired by many. Also the delivery service and delivery update was outstanding. Thank you. I will recommend your products and service. This chasuble is a great quality product for a very reasonable price. I was pleased to give this as a gift and the recipient was also very pleased. Great price! 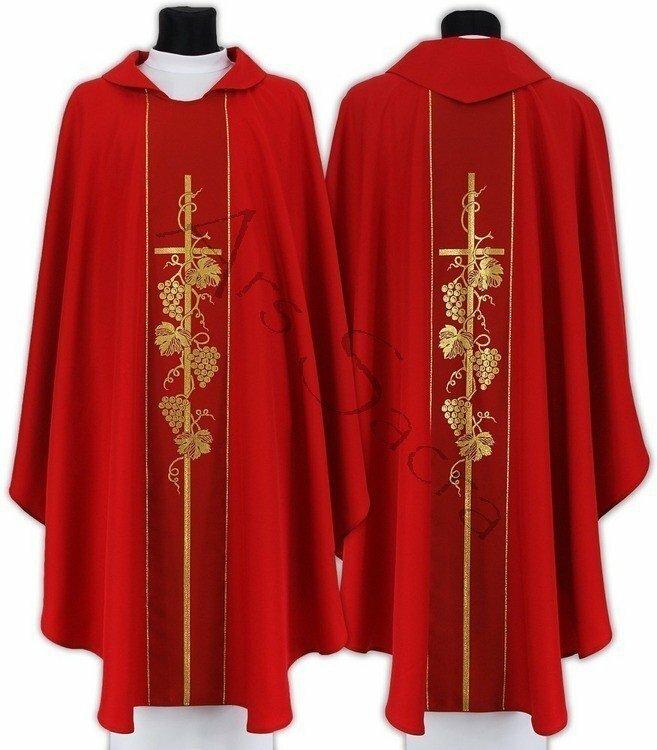 The chasuble was exactly what I expected. Great quality. Shipped quicker than projected. Not a single complaint!